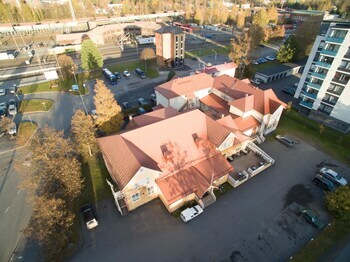 A stay at Hotelli-Ravintola Alma places you in the heart of Seinajoki, within a 5-minute walk of Epstori Shopping Center and Lakeuden Risti Tower. Featured amenities include complimentary wired Internet access, complimentary newspapers in the lobby, and dry cleaning/laundry services. Planning an event in Seinajoki? This hotel has facilities measuring 7532 square feet (700 square meters), including meeting rooms. Free self parking is available onsite. A stay at Pop Up Hostel Lahti places you in the heart of Lahti, a 3-minute drive from Ristinkirkko and 5 minutes from Sibelius Hall. The front desk is staffed during limited hours.